It’s good and natural to have well known writers spend some time with total strangers. It’s all about context. The writer, whether a giant in a niche market or an all-around best-selling star, knows that life is a bit absurd, fame is fickle, and that the vast majority of people have no idea who he or she is. That stranger, and that stranger over there, and that one too, all gather at a meetup, and at least they know something about the writer. Most likely they’ve read some of his work. Most likely they aspire to be writers themselves. Ah, much common ground to work from. And so that’s what I got to partake in for a little a while, a special moment. 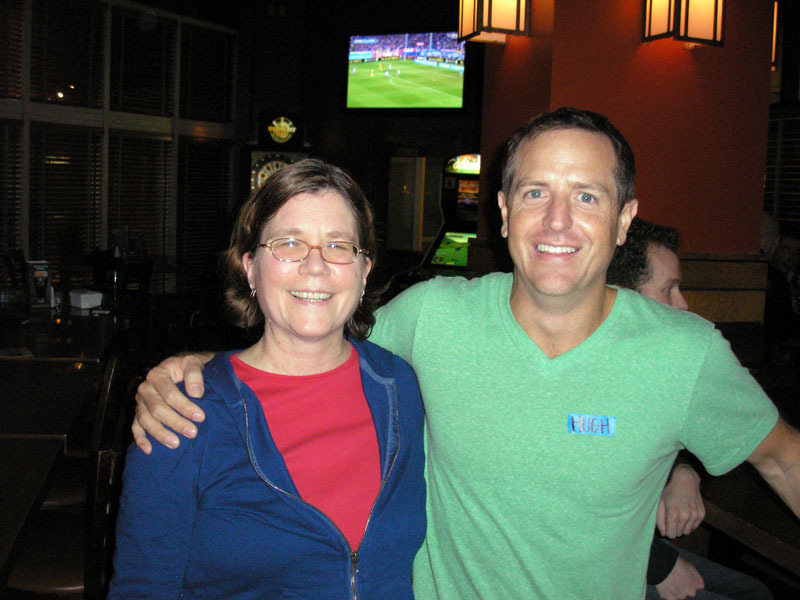 Hugh Howey was in town. He had delivered a lecture at Amazon earlier in the day. That night, a meetup was organized at Rock Bottom Restaurant and Brewery, which made for an excellent venue. It was a big group that became a smaller intimate group of new friends gathered to share a few ideas with a great writer. And as natural and unassuming as the whole thing was, it was Hugh Howey, the author of WOOL, after all. Context. Always come back to that. For those who stopped by for a chance to hang out with the writer, it was a treat, a big deal, a moment that required some photographs, even autographs. Hugh was very much in the moment and totally accessible. If there’s one thing that will see you through a steady meet and greet it is a healthy perspective. Watch. Look. Listen. Engage. Someone commented it’s a little like speed dating or office parties. You just have to run with it. If everyone in the room senses that they’ve entered a safety zone, where they’re talking amongst like-minded souls, then conversation is easy. We are all back in our favorite teacher’s classroom where no question is a wrong question, something like that. Jennifer got a head start on me. When I walked in, I found Jen chatting with a group of strangers. 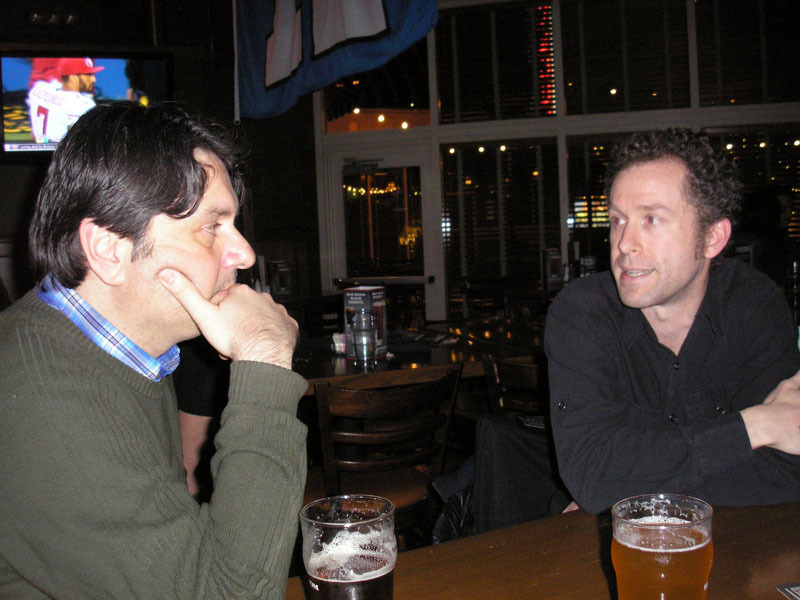 Hugh Howey appeared to be in deep conversation with one part of the group. Certainly Jen would get her chance to chat with Hugh. I still needed to order a beer. The waiter assumed I’d just order anything. When I got a menu, there was new activity to process, as more people stepped in and others began to shift around. Jen gave her new friend, Ksenia, a hug goodbye. And I was also trying to maintain my conversation with Paul, a new friend I’d just made. I settled into a red ale and chatted with Paul. Then it came time for Jennifer to ask her question. She’d been waiting and Hugh was ready. Jen prefaced her question with an apology, in case her question was obvious, but she wondered about Juliette’s act of rebellion when it came time for her to perform the cleaning ritual. Might it not have religious undertones? Juliette refused to do the commonly accepted ritual before walking to her death. Hugh saw it more as an act against conformity. This led to a discussion on going against what society says is right for you like going to college. Who said you have to go to college? No need to just accept convention. No need to have the wool pulled over your eyes. As the conversation heated up, I got caught up in the questioning of genre, specifically science fiction. I offered up my sneaking suspicion that even among literary fiction, there is genre. Hugh agreed and expanded upon it. It was a fun conversation. We all felt welcome. We thanked him. And, with a gentle smile, he thanked us.